These round rose gold cufflinks has a very unique distinct finish. The eye-catching rose gold cuff links are the perfect palette for personalization. Engrave a pair for your groomsmen or engrave your company’s logo and hand them out at the next company event. 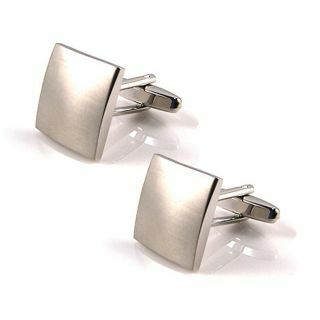 No matter the occasion, these cufflinks are sure to catch a glance and help you look your best. Each beautiful piece measures 10/16" in diameter.